The research group of Prof. Hafezi works on a number of clinical and experimental research projects. Their aim is to develop new and innovative translational approaches for corneal diseases like corneal infection and keratoconus, using techniques ranging from cell biology approaches to multicenter clinical phase III trials. 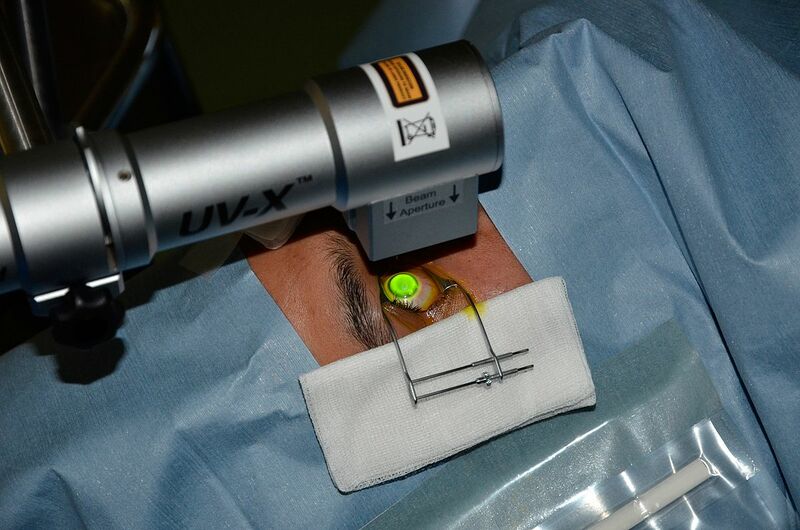 Collagen cross-linking with riboflavin and UV-A (CXL) is a treatment modality that was initially developed for the treatment of keratoconus, a biomechanical instability of the cornea affecting young people. CXL mechanically stiffens the cornea by a process called photopolymerization. Specifically, this process involves UV light that delivers energy in combination with riboflavin (Vitamin B2), which is the substance that induces cross-links in the collagen; the experimental approach of this treatment modality began in 1995. 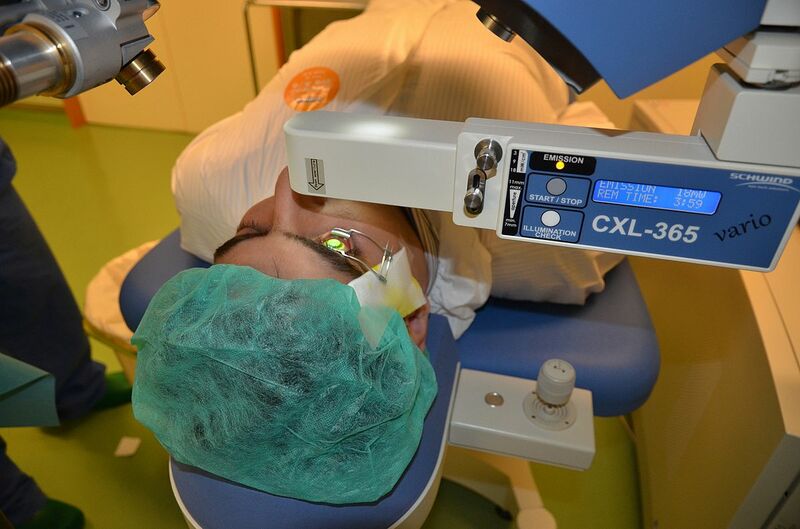 CXL represents a practical example of translational research because within only 15 years, this treatment modality was approved in all stages of pre-clinical and clinical testing to become the global state-of the-art treatment in more than 110 countries for keratoconus. One of the aims of our laboratory is to optimize the currently used treatment parameters to make the treatment even more efficient and safe. Key elements that we are focusing our efforts are to better understand the role of oxygen delivery and availability in the cornea during CXL as well as determining the optimal fluence settings to maximize the biomechanical effect. Infectious keratitis represents the third leading cause of global blindness, with an estimated 5 million new cases occurring every year. Whereas contact lens wear can be made responsible for ulcers in developed countries, minor corneal injuries along with insufficient access to ophthalmologists and medication are the main reasons for majority of severe corneal infections attributing to visual loss in developing countries. Clinically, corneal infections often represent a diagnostic and a therapeutic challenge. Globally, corneal infections are most often caused by bacteria, fungi, and mixed infections. Photoactivation of riboflavin via UV-A light is a known concept in medicine to reduce the microbial load of liquids. An example is found in transfusion medicine; platelet concentrates are routinely treated with UV-A light and riboflavin. 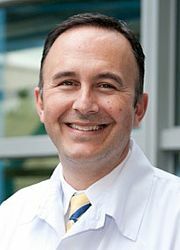 Now, in ophthalmology, PACK-CXL (formerly known as cross-linking for infectious keratitis) represents a new concept in the treatment of infectious keratitis. The main mechanisms that might be responsible for the effect include: 1) intercalation of the chromophore with the DNA of the pathogen, 2) reactive oxygen species-mediated damage of the pathogen’s cell walls, and 3) a change in the tertiary structure of the stroma’s collagen fibers, thus making it harder for collagenases to dock and exert their function. The proof of concept of PACK-CXL (PhotoActivated Chromophore for infectious Keratitis-CXL) was given in a series of patients published in 2008. The proof-of-concept was given in 2008 in Zurich, where Prof. Hafezi was part of the IROC team around Prof. Theo Seiler. Between 2008 and 2013, PACK-CXL technology was developed in vitro, in various animal models and successfully transferred to several Phase I clinical studies, which are still ongoing. 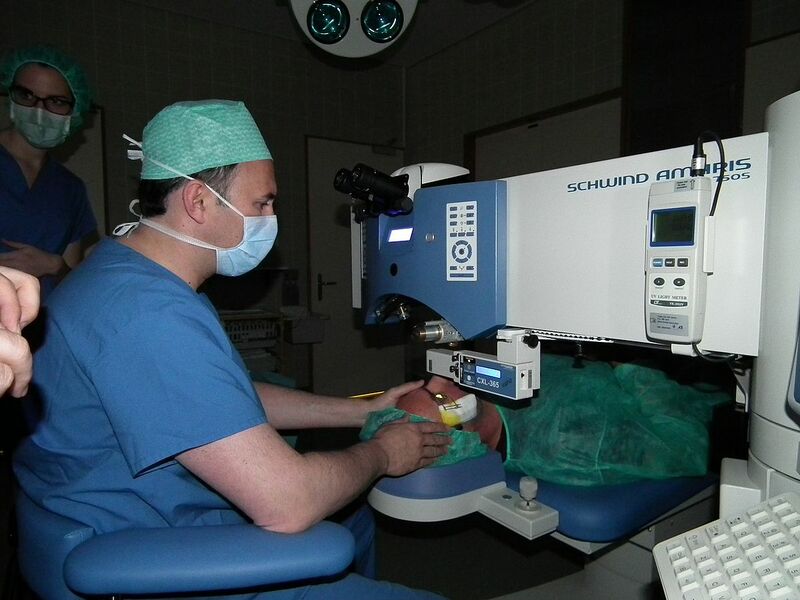 Currently, the main focus of Prof. Hafezi’s research is to address the unmet needs in corneal infection. These unmet needs include: (1) limited or no access to ophthalmological treatment (2) insufficient access to medication for financial reasons, and (3) increasing resistance to antibiotics. In order to address these issues on a global level, PACK-CXL needs to be faster and more efficient while not comprising patient safety. 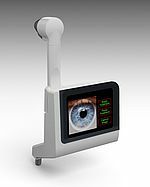 Current CXL technology involves expensive and bulky devices, corneal specialists to perform the treatment, and require the treatment in sterile operating theatres. In order to reach the masses with the treatment method, these are the main obstacles to overcome. EMAGINE SA is a spin-off company from the University of Geneva founded in 2013. The goal of EMAGINE SA is to develop PACK-CXL technology that can be used at the slit lamp and performed by the comprehensive ophthalmologist. A prerequisite of this goal was the implementation of safety mechanisms that would ensure that the inexperienced user would not harm (or under treat) the cornea by accidental over or under UV irradiation. EMAGine SA is currently working on a number of components of PACK-CXL technology: a) irradiation systems that are miniaturized and can be mounted on a standard slit lamp, b) irradiation systems that will allow for treatment outside an operating theatre, c) new chromophores that kill more than 99% of pathogens (bacteria and fungi) on the ocular surface in the span of less than 5 minutes without the use of antibiotics or antifungal medication. 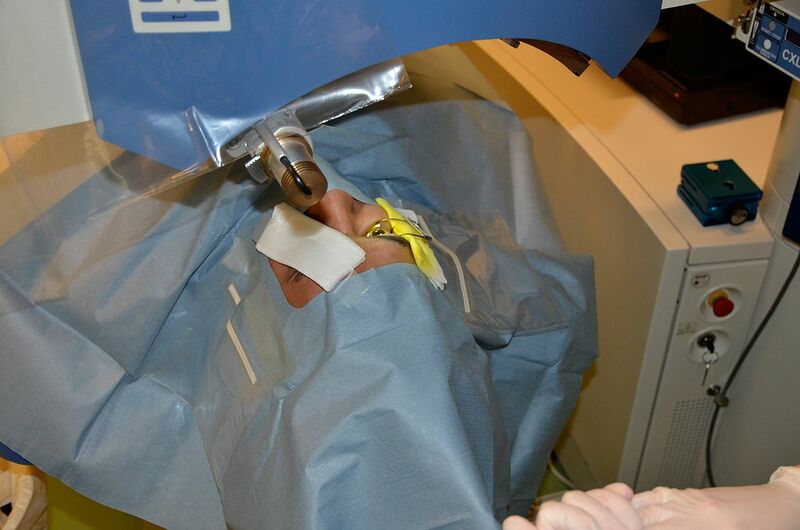 Photorefractive keratectomy (PRK) is an excimer laser ablation that allows for the correction beyond refractive errors like myopia and astigmatism. When combined with corneal wavefront measurements, and in combination with other techniques like CXL, PRK allows for the correction of irregular astigmatism caused by keratoconus, infection and/or trauma. PRK can only be performed at a certain corneal depth because the corneal stroma reacts with scar formation if ablation depth exceeds 100 µm. In many instances, PRK could even make lamellar keratoplasty obsolete, if the tendency for excessive scarring at greater depths could be overcome. A better understanding of the molecular events leading to scar formation would enable us to modulate the process for the benefit of corneal transparency. We are currently investigating the effect of various cytokines after phototherapeutic keratectomy in transgenic and knockout models for genes involved in the wound healing process. Hafezi F, Steinbach JP, Marti A, Munz K, Wang ZQ, et al. (1997) The absence of c-fos prevents light-induced apoptotic cell death of photoreceptors in retinal degeneration in vivo. Nat Med 3: 346-349. Fleischmann A, Hafezi F, Elliott C, Reme CE, Ruther U, et al. (2000) Fra-1 replaces c-Fos-dependent functions in mice. Genes Dev 14: 2695-2700. Grimm C, Wenzel A, Hafezi F, Yu S, Redmond TM, et al. (2000) Protection of Rpe65-deficient mice identifies rhodopsin as a mediator of light-induced retinal degeneration. Nat Genet 25: 63-66. Hafezi F, Kanellopoulos J, Wiltfang R, Seiler T (2007) Corneal collagen crosslinking with riboflavin and ultraviolet A to treat induced keratectasia after laser in situ keratomileusis. J Cataract Refract Surg 33: 2035-2040. Iseli HP, Thiel MA, Hafezi F, Kampmeier J, Seiler T (2008) Ultraviolet A/riboflavin corneal cross-linking for infectious keratitis associated with corneal melts. Cornea 27: 590-594. Hafezi F (2009) Smoking and corneal biomechanics. Ophthalmology 116: 2259 e2251. Chatzis N, Hafezi F (2012) Progression of Keratoconus and Efficacy of Corneal Collagen Cross-linking in Children and Adolescents. J Refract Surg 28: 753-758. 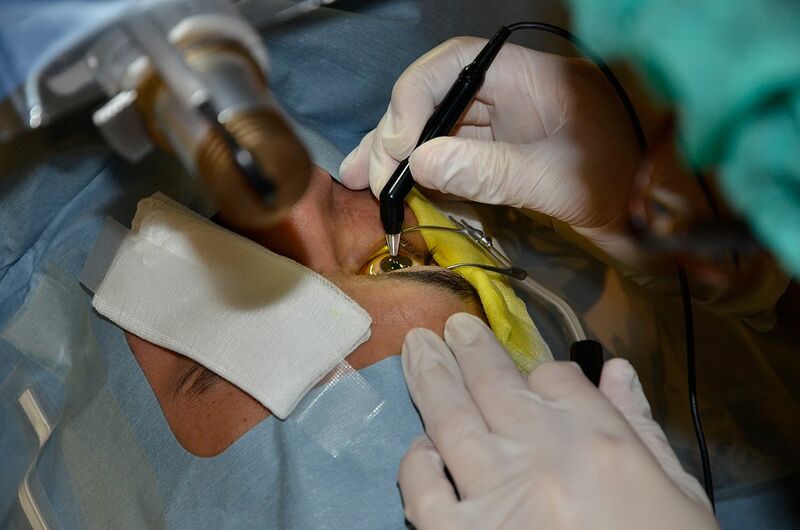 Richoz O, Schutz JS, Pajic B, Coskunseven E, Hafezi F (2012) Crosslinking for recurrent keratoconus. Ophthalmology 119: 878-878 e872. Gatzioufas Z, Richoz O, Brugnoli E, Hafezi F (2013) Safety profile of high-fluence corneal collagen cross-linking for progressive keratoconus: preliminary results from a prospective cohort study. J Refract Surg 29: 846-848. Richoz O, Hammer A, Tabibian D, Gatzioufas Z, Hafezi F (2013) The Biomechanical Effect of Corneal Collagen Cross-Linking (CXL) With Riboflavin and UV-A is Oxygen Dependent. Transl Vis Sci Technol 2: 6. Richoz O, Mavrakanas N, Pajic B, Hafezi F (2013) Corneal Collagen Cross-Linking for Ectasia after LASIK and Photorefractive Keratectomy: Long-Term Results. Ophthalmology. Spiess BM, Pot SA, Florin M, Hafezi F (2013) Corneal collagen cross-linking (CXL) for the treatment of melting keratitis in cats and dogs: a pilot study. Vet Ophthalmol. Said DG, Elalfy MS, Gatzioufas Z, El-Zakzouk ES, Hassan MA, et al. 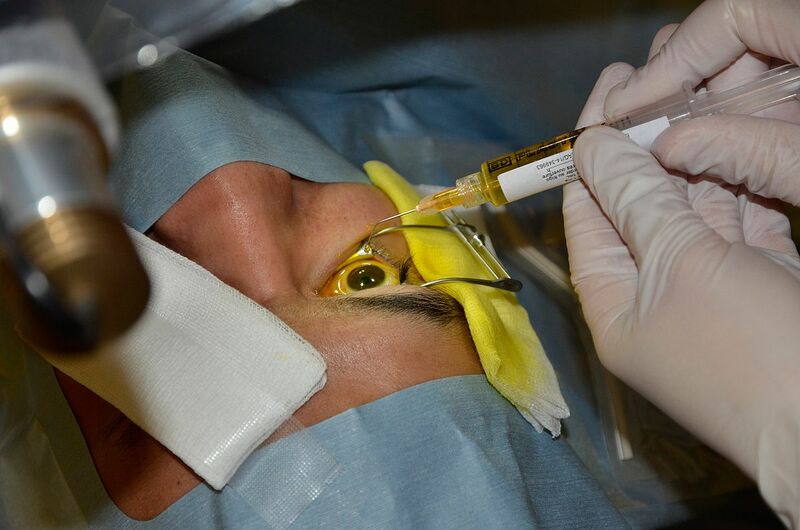 (2014) Collagen Cross-Linking with Photoactivated Riboflavin (PACK-CXL) for the Treatment of Advanced Infectious Keratitis with Corneal Melting. Ophthalmology. "Method of applying a composition and pharmaceutical composition with a regimen of administering it" By Richoz, O. and Hafezi, F. Filing date: June 16, 2013. Pending application. "Apparatus for the treatment and/or prevention of corneal diseases" by Richoz, O. and Hafezi, F. PCT/CH 2012/000090. Filing date: April 29, 2011. Pending application.